Tubular Practice Lock in the 7 pin center style. 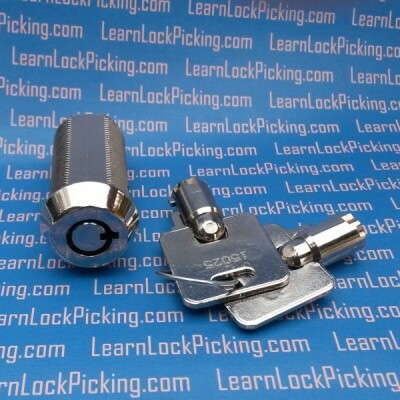 This is the most common type of tubular lock in use. 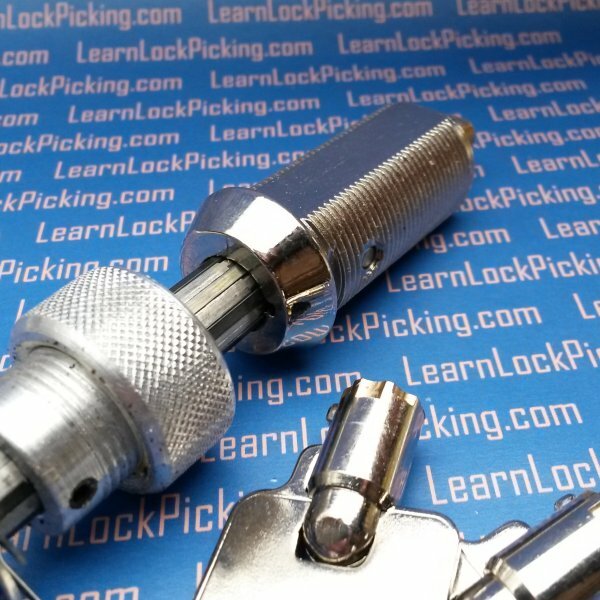 SKU: TubularPracticeLock. Category: Practice Locks. Learn to pick tubular locks at home with our tubular practice lock. 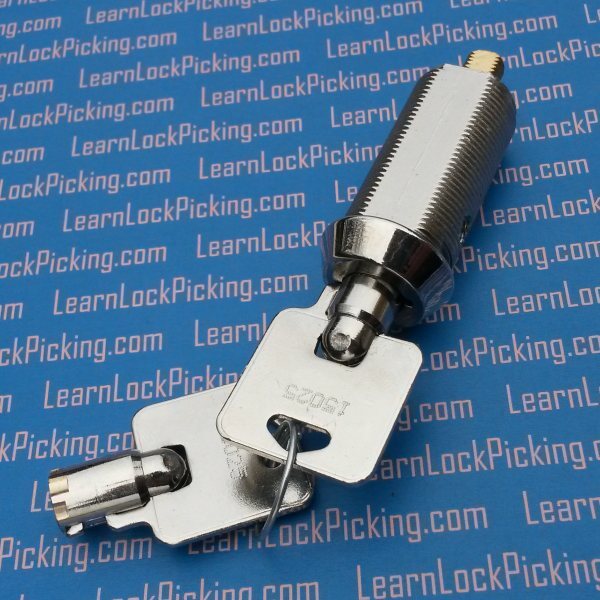 this lock can be picked by either single pin picking or with our tubular lock pick tools. This tubular practice lock has a 7 pin centered key way, the most common type of tubular lock found in use. Includes two working keys. 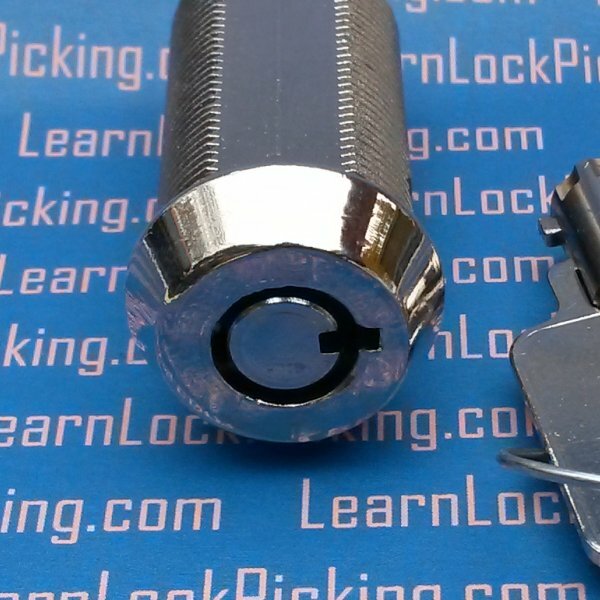 Chrome plated brass tubular lock. 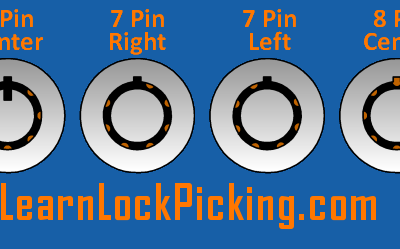 7 pin centered key way – the most common key way in use. 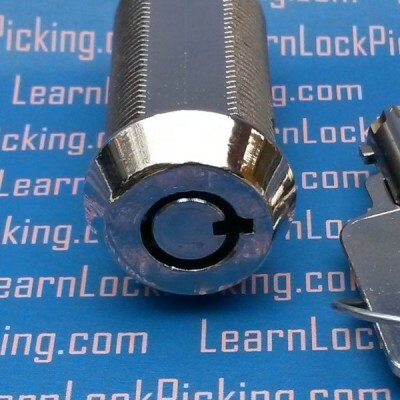 Learn to master the unusual skill of picking tubular locks. Lock pick shown is not included.